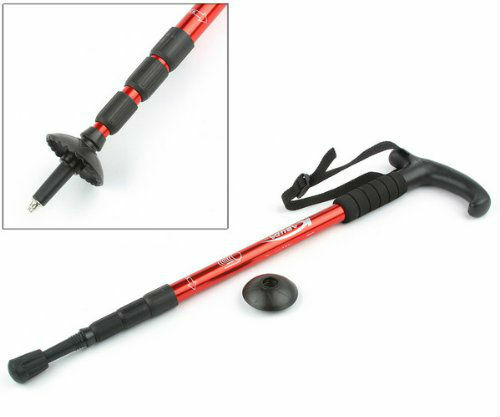 These PaceMaker Stix Flip Lock “Expedition” Trekking Poles telescope from 27 – 54 inches, using patented flip-lock, fail safe, locking technology, so that they will accommodate people of all sizes. 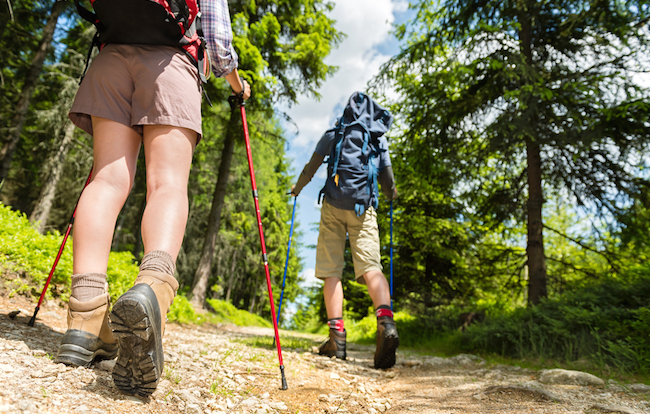 They claim to use superior materials compared to other trekking pole manufacturers including 7075 “aircraft grade” aluminum shafts and tungsten steel tips. The handles are made with absorbent and durable composite cork grips. These poles are surprisingly lightweight and relatively sturdy, with a weight of about 10 ounces per pole. 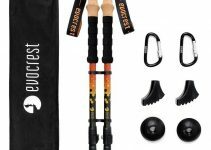 If you are looking for a great pair of trekking poles, with simplified straps and thicker handles, affording you more flexibility on difficult trails and terrain, then these poles may be for you. Included with these poles are small baskets, snow baskets, and a pair of extended life rubber feet. You can purchase them directly from their website or from Amazon.com here.